It’s sometimes easy to get lost in the day-to-day management of a business and even easier to forget about the ongoing maintenance of an actual workplace. While we might monitor and look after our equipment, tools, staff and internal work spaces, how often do we really look up to see if the roof is still in good repair? For most people the inspection of a roof only happens in the event of something going wrong – either a leak has been detected or an extreme weather event has caused noticeable damage to the structure – and this can lead to costly roofing repairs in Perth or even a total replacement of the roof. It is a better idea to inspect your roof on a regular basis at least twice a year, looking out for any signs of wear and tear so that any issues can be dealt with quickly before they turn into bigger, more costly problems. Below we’ve listed 5 of the most common signs that your roof may need work or even replacement. Roofs older than 30 years old. Older commercial or industrial roofs will require extra maintenance simply because of the amount of time they have withstood the elements and the natural process of wear and tear over the years. Joints and membranes in areas such as the points between the roof and the walls can become damaged or weakened over time, leading to a leaky roof. If your roof was built before the 80’s then it is worth having a professional check it out for asbestos material. Even bonded asbestos products (which are considered the least dangerous of all asbestos materials) can become hazardous to health if damaged or exposed to weather. Roofs leaks. A leaky roof can be the first symptom of damage to the roof, depending on the type of leak and its location. Even a small leak can cause significant damage to the underlying building structure, and if left long enough, can cause major occupational health and safety issues such as mould and damp in the workplace. Don’t leave a leak thinking that it will go away – get it inspected straight away by a company offering commercial roofing repairs in Perth. Higher energy bills. The overheads of running a business can be high enough without having the extra expense of a large electricity or gas bill. If you’ve noticed that your energy bills seem to be increasing exponentially year after year, your roof might be to blame. Often older roofs are badly designed, and lacking the modern techniques for smart ventilation, cooling and heating. Something doesn’t look right. You probably visit your workplace on a regular basis, but may not even notice the roof or its associated plumbing and fixtures. 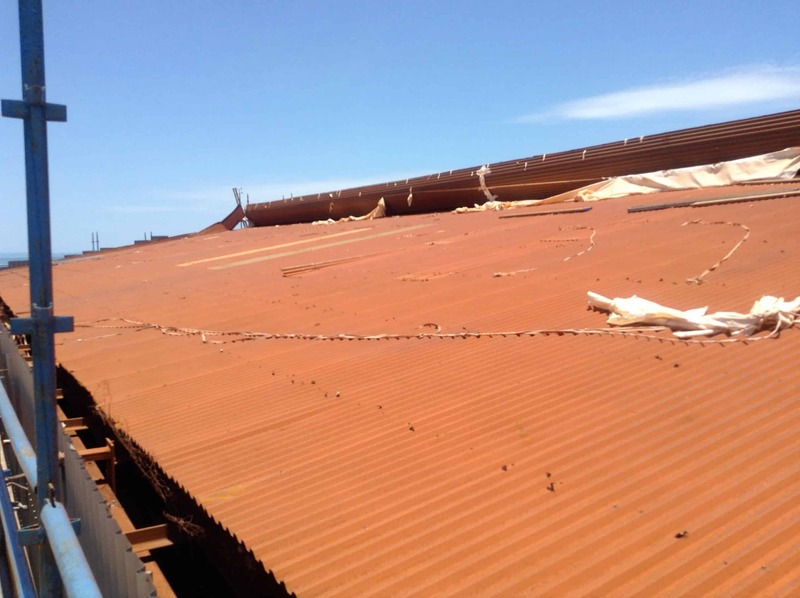 If you do look at the roof and notice that something seems wrong – either the gutters are leaking or sagging, the roof seems bowed in the one spot or you can see that some of the Colorbond metal has peeled away – it is time to contact a commercial roofing repairs company in Perth. These problems can be quick and easy to fix. A sagging ceiling. Apart from an external inspection of the roof, it is also a good idea to occasionally check the internal ceilings for any sagging or changes. While some sagging ceilings can simply be caused by a faulty fixing of plasterboard or damage, it can also sometimes be an indication of moisture coming in from the roof.